I rarely miss a Now Word post. I’ve found your writing to be very balanced, well researched, and pointing each reader toward something very important: faithfulness to Christ and His Church. Over the course of this past year I’ve been experiencing (I can’t really explain it) a sense that we are living in the end times (I know you’ve been writing about this for awhile but it’s really only been the last year and half that it’s been hitting me). There are too many signs that seem to indicate that something is about to happen. Lot’s to pray about that’s for sure! 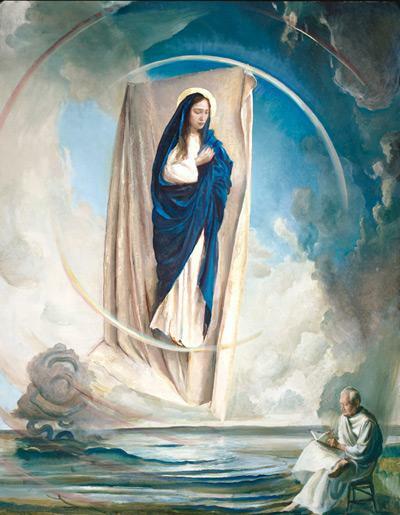 But a deep sense above all to trust and to draw close to the Lord and our Blessed Mother. 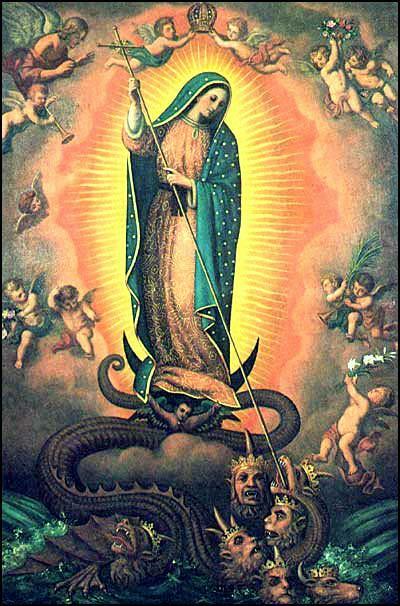 As I pointed out in my book The Final Confrontation, Our Lady of Guadalupe appeared in the 16th century in the midst of a culture of death, the Aztec culture of human sacrifice. 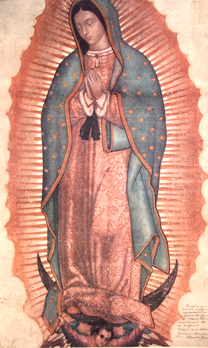 Her apparition resulted in the conversion of millions to the Catholic faith, essentially crushing beneath her heel the “state” driven slaughter of the innocents. That apparition was a microcosm and sign of what was coming to the world and is now culminating in our times: a state driven culture of death that has spread world-wide. This, of course, parallels Rev 12:1, “the woman clothed with the sun.” And like 12:2, she was pregnant. It is critical to understand the difference between Chapter 12 and Chapter 13 of Revelation, for though they describe the same battle, they reveal a satanic progression. Chapter 12 of Revelation describes a spiritual confrontation, a battle for hearts that, prepared by two schisms in the first century and a half of the Church, germinated in the 16th century. It is a battle over the Truth as taught by the Church and as refuted by sophistries and errant reasoning. It is the ultimate trap: to become slaves without fully realizing it. In such a state of deception, souls will be willing to embrace, as an apparent good, a new master. Here is what the Holy Fathers are painstakingly pointing out: this throne has been gradually built up over time from the materials of heresy under the guise of “intellectual enlightenment” and reasoning without faith. The gradual acceptance of falsehood leads to an external system that concretizes this internal rebellion. While Prefect for the Congregation for the Doctrine of the Faith, Cardinal Joseph Ratzinger pointed to how these external dimensions have indeed taken on the form of totalitarianism with the aim to control. How many people today accept infringements upon their “rights” for the sake of security (such as submitting to harmful radiation or invasive “enhanced pat downs” at airports)? But St. John warns, it is a false security. And thus we see today how chaos in the economy, in political stability, and international security could very well be paving the way for a new order to arise. If people are hungry and terrorized by civil and international chaos, they will certainly turn to the state to help them. That, of course, is natural and expected. The problem today is that the state no longer recognizes God or His laws as immutable. Moral relativism is rapidly changing the face of politics, the legislature, and consequently, our perception of reality. There is no longer a place for God in the modern world, and that has grave consequences for the future even if short term “solutions” would appear reasonable. 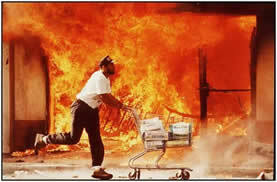 This would appear, at first glance, to be a contradiction to Revelation 12 and the protection granted the woman. However, what Jesus promised is that His Church, His Bride and Mystical Body, would corporately prevail until the end of time. 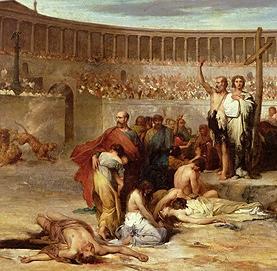 But as individual members, we may be persecuted, even unto death. What Christ promises is that His Church will exist at all times somewhere in the world, even if its external form is oppressed. And thus, as the signs of the times rapidly unfold before us, given all that the Holy Fathers continue to say about our days, we do well to be aware of what is happening. 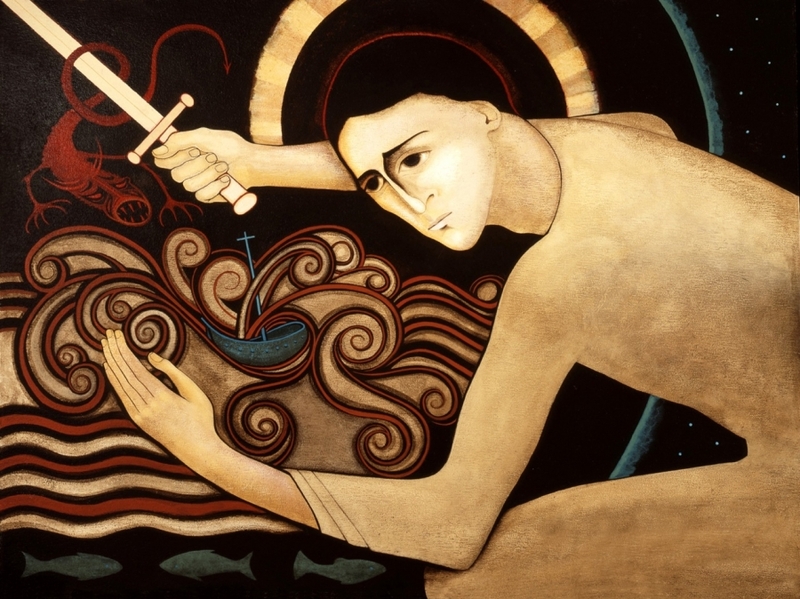 I have written about a Moral Tsunami, one that has prepared the way for a culture of death. But there is coming a Spiritual Tsunami, and this one may very well prepare the way for the culture of death to become incarnate in a beast.